We humans have become so self-important and do self-conceited in our own eyes that it does not occur to us that the Great Mother who bears us so patiently upon her earthy breast, feeds us with such abundant variety of foodstuffs, and takes us back again when we are sufficiently tired, has a purpose of her own which she wishes to achieve in us if we will but let her. We have set up our own schemes and projects, we have decided what we want to get from life, and we are thinking striving, struggling and even agonizing in our efforts to obtain the satisfaction of our desires. If, however, we devoted a quarter of our time to ceasing from self-efforts and quietly letting Nature's mind permeate our own, we might make a wise revision of things wanted, yet at the same time secure Nature's co-operation in obtaining them. 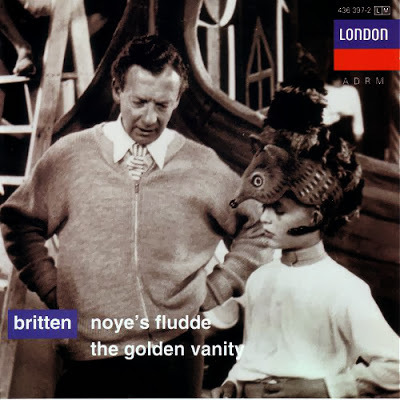 My thanks go to Stephen Whitaker for pointing out quite rightly that the opening sentence of the original version of this post confused the closing lines of The Golden Vanity and Noye's Fludde. My mistake entirely, a case of water on the brain I think - now corrected. It should be pointed out that in the generally dependable Journeys East - 20th Century Encounters with Eastern Religious Traditions Harry Oldmeadow has a generally negative view of Paul Brunton, pointing out that his doctorate was self-bestowed and saying that "His ideas in his later years... are almost self-parodic, quirky, sometimes proposterous, and anticipate some of the wilder shores of the later New Age movements". Paul Brunton is one of the figures in esotericism - Idries Shah is another - who generate awe and incredulity in roughly equal measure. But that is not a reason for ignoring them. Thanks for those wise words from Paul Brunton, so beautifully expressed in a rather Mabeyesque way. I didn't know this writer; I'll go and find out more.